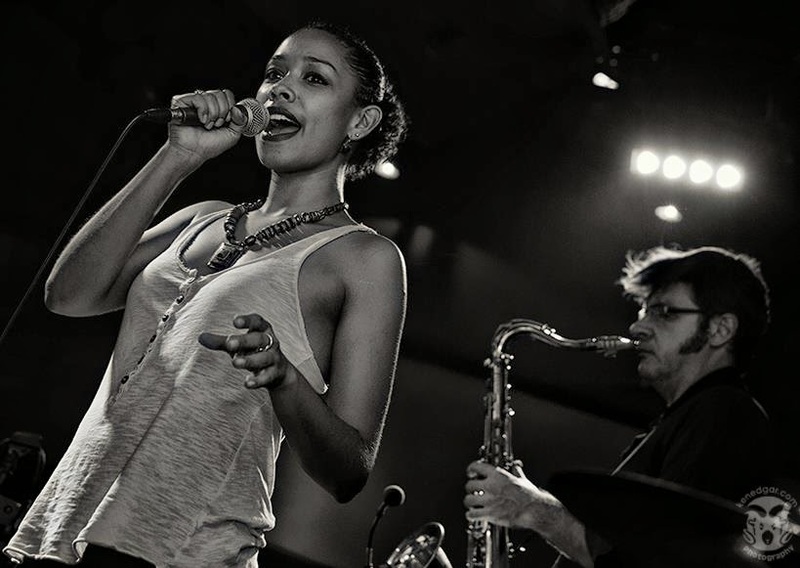 The Rhiannon Johnson Quintet performs at Equinox on Thursday night – the last chance to see this particular iteration of Rhiannon’s band on stage together. Barry Spiers (keyboards), Greg Lavender (drums), Stephane Routtier (saxophone) and Andry Rakontoniaina (bass guitar) form a powerhouse group of musicians. Barry seems to be the one calling the changes from behind his Nord organ while Marsyas mainman Stephane takes most of the solos. The refined, funky and muscular sound of the quintet is all made possible by the experts in the engine room – Greg and Andry. Funk music is something that any musician can attempt but few can play convincingly. 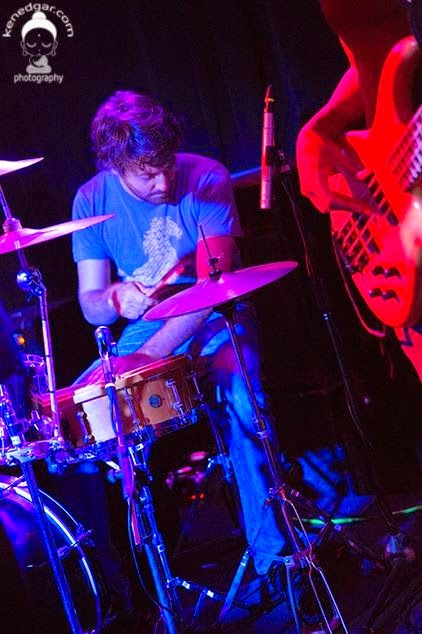 The rhythm section have to lock together in a kind of meditative trance, repeating a driving, syncopated rhythm over and over again without breaking concentration. One lapse and ‘The Funk’ is lost. The great groove laid down by Greg and Andry provides the perfect launching pad for Rhiannon - her vocals soaring around and above the beats of the band. Rhiannon has the voice and the stage presence of a true professional with grace and charm to match. Fortunately Rhiannon is planning to stick around the Phnom Penh music scene for a while longer... but some of the guys in her current quintet will soon be moving on. Jack predicts extended calls for ‘Moi Diet!’ to be issued from the Equinox dance floor this evening. You can also catch Rhiannon play as a duo with keyboardist Barry Speirs at Cabaret Restaurant this Friday. As is the way around these Phnom Penh traps, as one band is playing their farewell gig another one is playing their first. 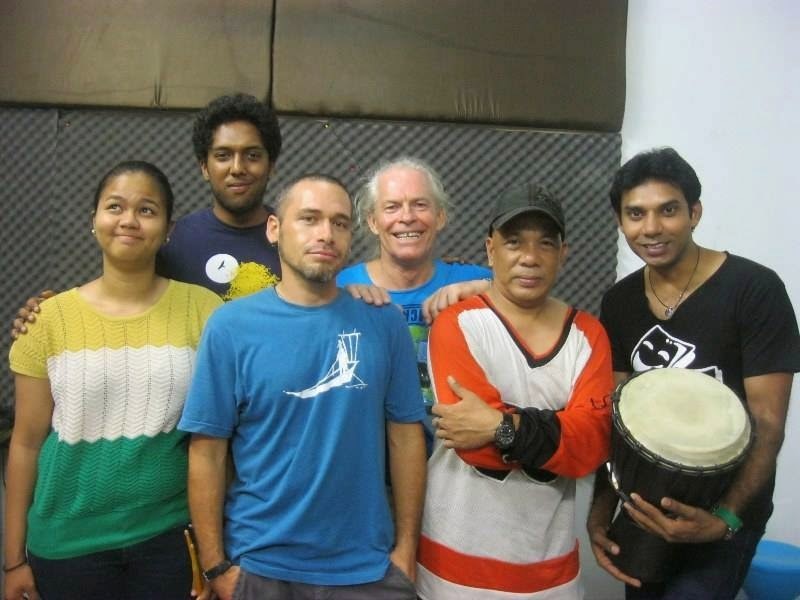 Bacano are a 6-piece Latin band featuring guitars, percussion, drums and bass. Band leader Chino De Nogales sings Spanish-language vocals while his musicians move and groove behind him. Expect a modern, pop-orientated repertoire as opposed to staid bossa nova standards. Chino told Leng Pleng: 'If you want a Latin band with all Spanish songs sung by a real Latino, Bacano is here!’ – with just the kind of positive, go-get-em attitude that we like to hear at Leng Pleng HQ! The band debut at Paddy Rice this Friday with a second show at Slur Bar on Saturday. Happy Birthday and best regards from Ted and Jack to Slur Bar. The venue celebrates their first anniversary this weekend with gigs from Olga, Ramirez and the TenTips, Bacano, Roxane Dumont and an open stage evening on Monday. We’ve seen a lot of great gigs at Slur over the last twelve months - long may it continue. 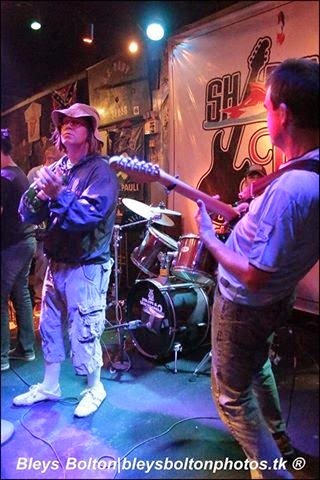 When Jack was nowt but a spindly schoolboy studying for his GCSEs, and the Phnom Penh expat music scene consisted of post-UNTAC military personnel strumming acoustic guitars in their downtime, one band burst on to the music scene in the UK with rocket-fuelled, zeitgeist-grabbing intensity. Multi-platinum albums and huge, era-defining, stadium shows followed for Manchester band Oasis. The band inspired a generation of British schoolboys to wear their hair like The Beatles and to save their Saturday-job money to buy newly re-issued Epiphone guitars. Their affectedly insouciant, arrogant and cheeky manner of carrying themselves was summed up by the band’s unofficial slogan: Mad-fer-it! Mad-Fer-It play their first full gig at Sharky Bar on Saturday night. Lead singer ‘Stewy Gallagher’ convincingly reproduces the Liam Gallagher snarl while guitarist JJ organises the ‘wall of sound’ consisting of loud guitar, bass, drums and keyboards. Leng Pleng correspondent ‘Big Chris’ got a sneak preview of the band last weekend and let us know that Mad-Fer-It pay a worthy tribute to the Oasis back-catalogue. Just to confirm the healthy state of the Phnom Penh music scene, Jack is pleased to note three very interesting and alternative shows happening at the quieter end of the week. Cicilia Yudha gives a piano recital at Meta House on Sunday evening – a chance to hear an internationally-renowned musician perform works by Beethoven, Berio, Schumann and Ravel. Booking information here. A trio of great jazz musicians get together on Tuesday at Le Moon rooftop bar when Mathias Aspelin (piano), Sebastien Adnot (double bass) and Lewis Pragasam (drums) will combine as East-West Triangle. More great tunes in beautiful surroundings on Wednesday evening when one of Phnom Penh’s friendliest and best-loved musicians, Belgian singer-guitarist Roxane Dumont, continues her June residency at FCC – The Mansion. Before I turn off the laptop and sally forth once again from the back streets of Phnom Penh, here is the latest video from the unique and brilliant Kampot Playboys getting their kicks during their weekly residency at Madi’s Bar in Kampot.